Former Deadly Snake Andre Ethier has been invited to sing "Oh Canada at an upcoming Los Angeles Dodgers game. 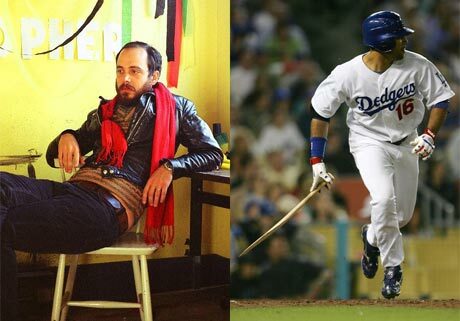 The Dodgers organisation themselves invited Ethier  who shares his name with the Dodgers right fielder  through a MySpace message after discovering the Toronto native had the same name. And yes, he has agreed to do it. Ethiers publicist Amanda Newman of Little Sister Management & Publicity was nice enough to pass on the message for your reading pleasure. My name is Signe and I work in Public Relations with the Los Angeles Dodgers. We have come across your profile because you share a name with one of our players! We have checked out your music and would love to see if you would be available to perform O Canada here on June 9th at our game vs. the Toronto Blue Jays. Please send me an email at if this interests you at all and we can discuss all the further details. Just wanted to put it out there...thanks!" The timing couldnt be better for the singer-songwriter as Ethier will release his third solo album this summer on Toronto-based indie label Blue Fog. The album, oddly enough, will be called On Blue Fog. In other news, Ethier will be performing with Jill Barber at her headlining show in Toronto at the Mod Club Theatre on June 1.